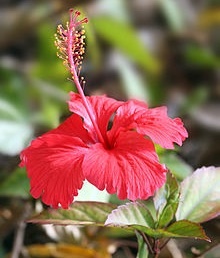 The flower exists in a number of different varieties and grows in tropical regions all around the globe. There are white varieties, but most are red or purplish-red in color. They are sometimes known as ‘Rosella’ or ‘Rose Mallow’, and, in Latin America especially, as ‘Flor de Jamaica’ or ‘Jamaica Flower. You can also sometimes hear them referred to as ‘Sorrel’, but be aware that this is also the name of another, completely different, plant that is also used in the kitchen. Here you can see the dried flower in a little more detail. Occasionally, the fresh flowers are used as a garnish, candied or otherwise, but they are chiefly dried for use in the kitchen. They are reputed to have a variety of health benefits, but, aside from a USDA study showing possible anti-hypertensive properties, most of the ‘evidence’ I have seen is largely anecdotal rather than scientific. The flowers do, however, contain a fair amount of Vitamin C, so they are certainly a ‘healthy’ ingredient from that perspective. 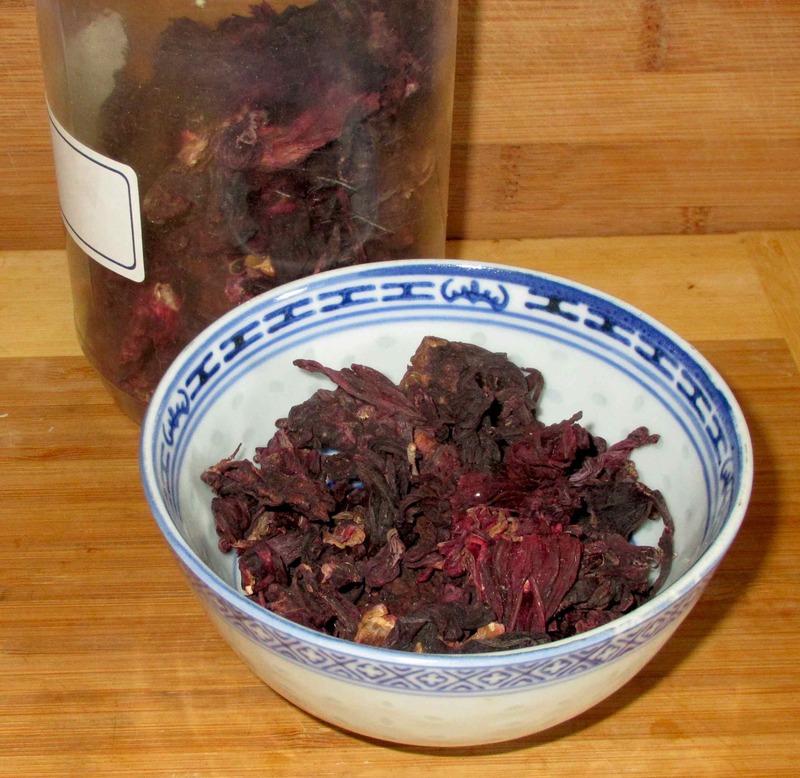 The dried flowers are generally steeped in either hot or cold water to produce an infusion that can be taken as a beverage, with the solids usually being strained out and discarded. As you can see, the flowers impart a lovely color to the water and, indeed, they are used not just for the taste bit also, both commercially and in the domestic kitchen, as a food colorant. The dried flowers and infusions made from them really don’t have much of aroma but the taste is quite startlingly robust with a sharp acid bite and an astringency as well. Some have likened the flavor to cranberries and I think that this is as apt a description as any other I can think of. You can certainly use more Hibiscus than this, of course (and I like quite a bit myself), but my wife finds that just a touch adds sufficient ‘tang’ for her taste. 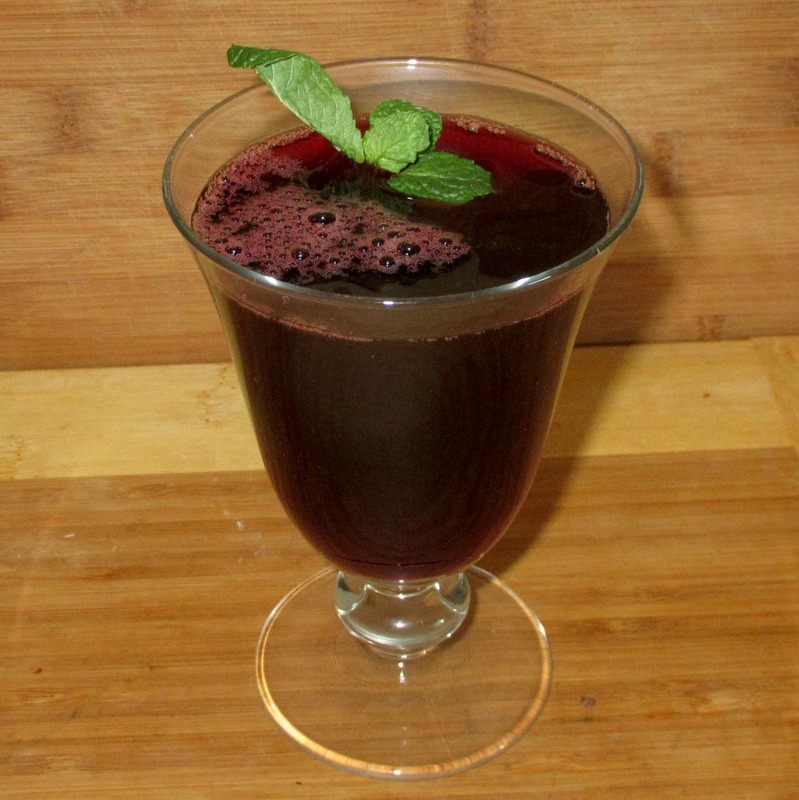 I mentioned above that ‘teas’ made with hibiscus as a primary ingredient are quite common and essentially consist of an infusion of hibiscus that is sweetened and consumed either hot, or more popularly, cold. There are many variations on the basic theme both in Latin America and Africa, as well as south-east Asia and, to a lesser extent in Europe. Ginger and mint are common additions and other spices, such as clove, cinnamon, or nutmeg, are also used. 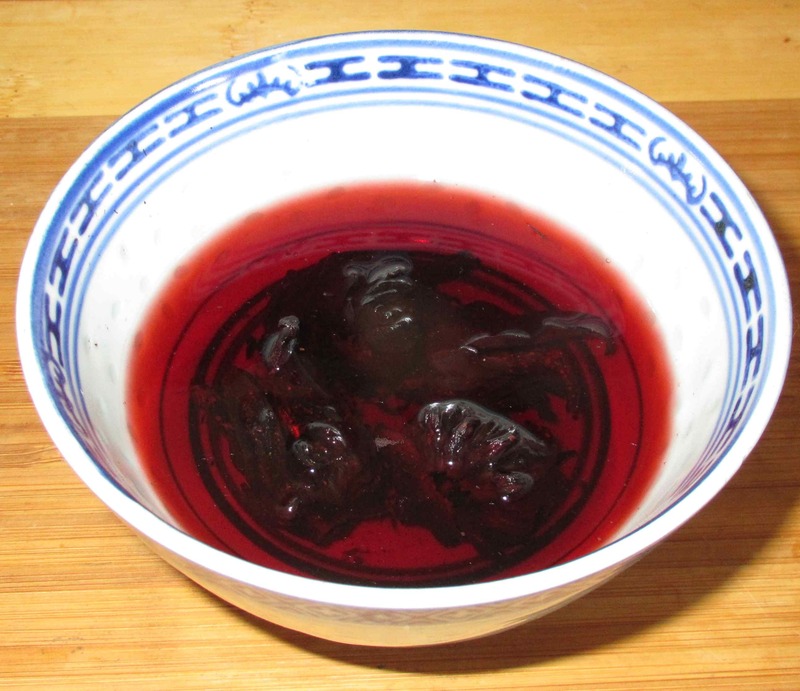 I made the above ‘tea’ by dissolving ½ cup of sugar in 4 cups of boiling water and then added ½ cup of dried hibiscus, 2 slices of fresh ginger and 2 tablespoons of lemon juice. I allowed the blend to steep as it chilled in the fridge and the strained before serving. There is no mint in the tea itself, but I thought a little sprig might make a nice garnish. The taste of this was very nice, being neither too tart nor too sweet. When adding a few blossoms to a more complex tea, one is really only conscious of the sharp acidity but, when used as a primary ingredient, there is a nice woody under-taste that is quite pleasant as well. My wife and I both enjoyed this and, with ice, it would be a very refreshing libation on a hot summer day (not that we get much of that in this part of the world). As an ingredient in non-beverage preparations, it seems to me that the Mexicans probably use them this way more than others but, in truth, it is hard to find a lot of recipes to tell for sure one way or the other. I did find a fairly nice recipe for Hibiscus Flower Enchiladas but, other than that, I really only came across vague suggestions that the flowers could be added to soups or stews, or else ground and sprinkled on dishes as a condiment. Looks very refreshing, John! 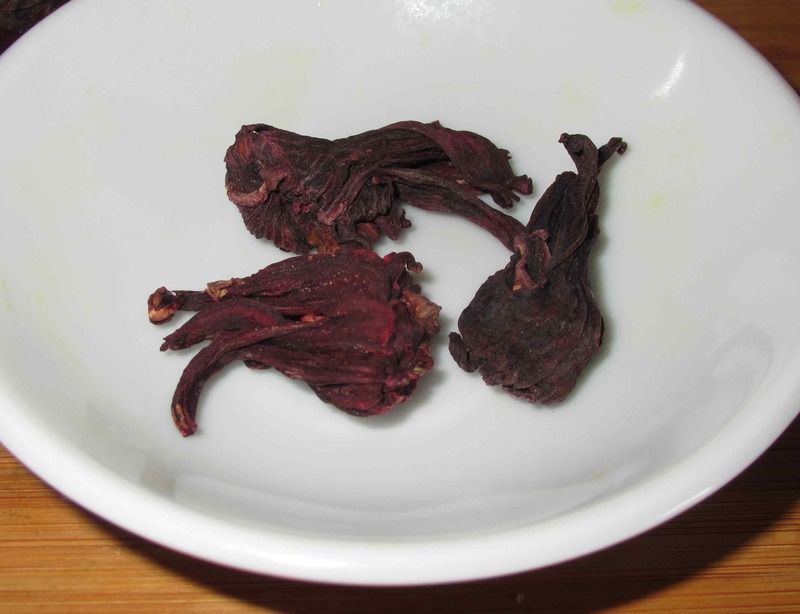 When I was in college, I spent a semester in West Africa and always saw pitchers of hibiscus drinks around. Something tart is perfect when it is hot out!